Tekkit? Feed the Beast? All texture compilations (WIP and full releases) for mod packs go in here. Not the bees is a skyblock based quest pack. With custom island generation and quests you will be guided through bee breeding and learn all the finer details of mods like forestry, gendustry, binnie's and career bees. 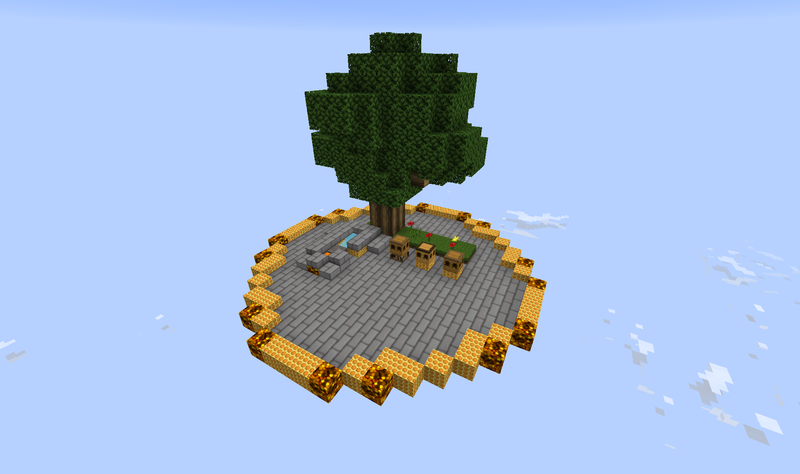 Unlike most skyblock packs there is no ex nihilo or similar mods. Instead you will have to breed bees in order to produce basic resources and your first stages of automation will also require career bees. Please understand this is an addon for the vanilla texture patch which will need to be downloaded separately here. Place both of these in your resourcepacks folder and select both to get the textures in game. 1. Make sure you have allocated enough RAM to the game to run a large texture pack. This will vary depending on the resolution you have selected. The numbers below are a guide and need more or less depending on your computer. 128x - This will usually require Optifine to work and at least 14 - 16 GB of RAM allocated. Optifine may cause rendering issues. If this is the case download the 64x version and remove Optifine. 64x - Allocate 8 to 10 GB. If after using these you still cannot get the patch to run, use a lower resolution. 2. When selecting the new packs the first time the way the Texture Atlas (The large sheet Minecraft transfers all the textures to for use in game) may not form correctly, causing textures to appear in the wrong place. Restart the game, this will let Minecraft load the textures on to a clean Texture Atlas and hopefully will fix any glitches. 3. For any other issues please see the Help Centre page. 02 Oct 2018 - Adjusted the latest download for Ver 2.0.0. Removed Better Builders Wands, replaced with Building Gadgets. Also added textures for Wopper. 30 Sept 2018 - Added downloads for the new 1.9.6 version of the pack. Last edited by Novamanga on 25 Feb 2019, 10:34, edited 4 times in total. Never thought you would wind up making a patch for a pack I created. There is a large update to the pack coming soon (currently beta on twitch) with a bunch of additions. The main ones are botania, blood magic, thaumcraft and astral sorcery. Update - Added downloads for the 1.9.6 version of the pack. Update - Adjusted the latest download for Ver 2.0.0. Removed Better Builders Wands, replaced with Building Gadgets. Also added textures for Wopper. You sir, are most excellent!